Websites are a necessity these days, and brands and businesses alike need to utilise them effectively if they’re to stay ahead of the competition. Your website is your online calling card and it’s a place that you want your visitors to stay for a while. It’s of no use to you or your business if visitors arrive on your page and then immediately leave. If that is what’s happening on your site, you’ll notice a lack of user engagement and a drop in visitors to your content, as well as a high bounce rate. Fortunately there’s plenty that you can do to increase retention rates on your company website. A good place to start is a consideration of what makes people visit your website and where they’re coming from. There are lots of places that visitors can come from and a business must know where those places are if it wants to optimise the content on its site. Users arrive at a website because something has drawn them there. If that promise is left unfulfilled, then those users will simply go elsewhere to find that information. The best thing that you can do to retain those users and their interest in your website is to optimise your landing page. This is simply the page that visitors arrive on when they click a given link. To optimise your site effectively, it’s worth making sure that its functionality is something that users will enjoy and appreciate. A badly formatted website doesn’t encourage further browsing and users will take their eyes (and potential custom) elsewhere. The bounce rate is simply how quickly people click away from your site. This is obviously a good area to focus on, as you don’t want visitors to be transient. You want them to continue clicking on your site and reading and exploring for as long as possible. The longer they stay on your site the better, as it increases the chances of you making a sale, and a good first impression is never something to turn your nose up at. Note that a blog may have a higher bounce rate than other pages as people naturally often visit just one page when consuming content and this ups the bounce rate. The other thing to consider is the information provided on the page that visitors are directed to. Targeted landing pages should be optimised with keywords so that visitors get exactly what it is that they’re looking for. 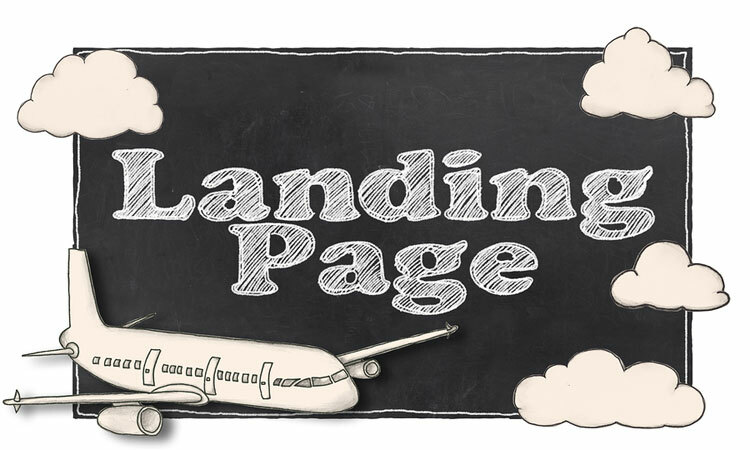 Don’t disappoint your readers and instead customise a landing page to reflect the audience that will be utilising it. If you’re effective in the creation of the landing page, and provide the visitor with the information that they want, you’ll find a better interaction with those users. This leads to less bounces away from your content. Remember that any bounces away from your website are effectively a waste of money if you use AdWords, as it’s a totally wasted paid click. Just quickly then, an example to help make it clear – if you’re offering discounted services on your website, make sure that any link to that content takes visitors directly to that page and provides them with more information. Don’t make them search for it, make it easy for them to discover, interact, and engage with your business. It’s not hard to create a good landing page, and you can experiment and learn as you go. The first step is to determine what page you’ll use for what campaign. It doesn’t always have to be your home page, but it does have to be specific to what users are searching for. Make it really clear and ensure that there’s a minimum amount of fuss for the visitor. The information should be presented in an easily readable manner and it should provide the reader with exactly what they came to your site to find out. Remember that landing pages are an important tool that marketers can use to increase user engagement, retention rates, and general happiness with the website itself. By optimising landing pages you’ll find that your business can increase its ROI, and also gain priceless data and insights into what drives visitors to arrive at your site, and what persuades them to invest in your business and its products.